Lucas Taylor has lived a long life. Though his body is failing him, his memory is still strong as he recounts his journey through life, love, and loss—and shares the incredible lesson he’s learned along the way. December 7, 1941. Thirteen-year-old Emiko Arrington can’t stop looking through the window at the cloud of smoke rising from Pearl Harbor, a shimmering curtain of black and gray that only gradually drifts out to sea. When she closes her eyes, she can still see the planes, swarming like insects as they pour down the valley and turn into the harbor. She sees their bombs and torpedoes fall away. 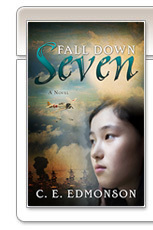 Within a very short time, Emiko and her family cease to be Japanese-Americans. Somehow, without any discussion at all, they become Japanese. When the Great Depression lands in New York City, thirteen-year-old Faith Covington is ripped from her upscale surroundings and transplanted on her aunt’s farm in the Pennsylvania wilderness—a lifestyle for which her education at a private girls’ school hadn’t quite prepared her. While adjusting to the total culture shock, Faith is thrust into a world of racism and persecution, facing an enemy she never knew existed. 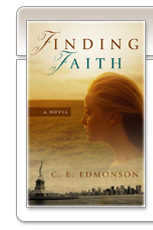 Just as Faith has found a new home—and a new part of herself—will she wind up losing everything? Fourteen-year-old Maddie Bergamo seems to have it all—looks, brains, mad moves on the basketball court, a cute crush, and true friends—and so far, her life seems right on track to make her eventual goals of the Olympics and a sports scholarship to her Ivy League dream school. 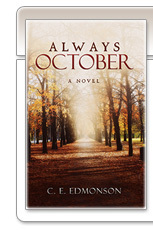 But then life topples her neatly stacked plans, and Maddie finds herself in a fight for survival. As events spiral out of her control, Maddie receives an unexpected gift: an ancestor’s extraordinary diary of life as a slave girl. And what Maddie discovers within those pages changes her world forever. 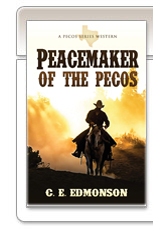 Clint Cooper returns home after many years to find the land of his birth embroiled in a bitter and deadly land war. An Eastern powerbroker, bent on fencing off the West Texas range for his own profit, hires gunslingers to bully the local ranchers and farmers into submission. 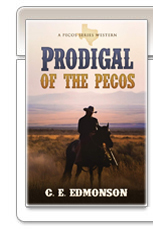 As the Pecos River runs red with the blood of the innocent, Clint emerges to make a stand, determined to keep his faith and his family intact—or die trying. William Hart is a family man with a hidden past. When a greedy and ruthless land baron hires gunmen to murder the town sheriff and take over the county, Will embarks on a mission for justice—a mission that could cost him more than his life. 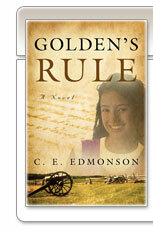 From the West Texas frontier in the 1870s, this is a story of courage, friendship and family love. Copyright ©2017 C. E. Edmonson, All rights reserved.